Bollywood superstar Shah Rukh Khan is busy filming for his upcoming film The Ring. The film has been in the headlines very often and is awaited by everyone. The Ring is an Imtiaz Ali directorial venture which also stars Anushka Sharma. Interestingly, Shah Rukh Khan and Anushka Sharma will be sharing screen space for the third time with this film. King Khan who is an avid social media user does not miss any chance to keep his fans updated about the film. Both the actors of the film have very often posted their pictures from the sets of the film be it from Prague, Amsterdam or Budapest. SRK seems to be very busy with shooting from one European city to another, but despite having such a hectic schedule he makes sure to take out time for his family. Recently, we found a beautiful picture of SRK‘s wife Gauri Khan with son AbRam holidaying around the shoot location of the film. The mother-son duo was snapped in Barcelona and we need to say both look lovely in the picture. 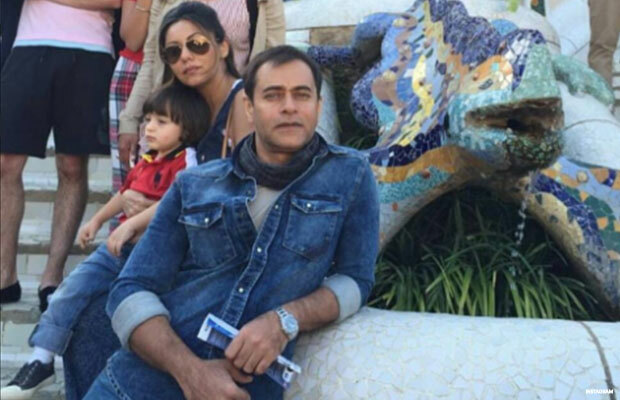 It seems that the Khan family is on a holiday spree but we did not find Daddy SRK in the picture. Looks like the Raees star might be busy with his shooting schedule of the film. Shah Rukh who does not miss any chance to be with his little munchkin AbRam was recently spotted with his kid in Amsterdam. Despite having such a busy and hectic schedule, the Badshah of Bollywood is a family man first. On the work front, Shah Rukh Khan will be next seen in Gauri Shinde’s Dear Zindagi opposite Alia Bhatt. The film is all set to hit the screens on November 25, 2016. After that, SRK will be seen in his much anticipated film Raees which is slated for January 26, 2017 release. Next articleThese Pictures Of Mommy-To-Be Kareena Kapoor Khan Will Leave You Speechless!